Recovering faster from your startle response enables you to emerge from the unwanted surprises in your life with less emotional turmoil. You can snuff out the early sparks of fear or anger, before those emotions lead to dire thoughts and actions. The possibility of conditioning the response is yet to be acknowledged by mainstream science. Since the reflex is triggered by activity in the brain stem, the early reptilian part of the brain, it is considered beyond the range of voluntary controls, or intentional modifications. The startle response (also called the Moro reflex) is basically a protective reflex. It serves to protect the back of the neck, (whole-body startle), or the eye (eye blink), and facilitates escape from sudden stimuli. If a fly approaches your eye, your hand zips up to swat it. Or, your head dodges sideways. Your hand jerks off a hot stove. You raise your leg on seeing a snake in your path. The startle reflex can start to respond to a stimulus within 20 milliseconds. It extends over your lifetime and is found across many species. Since the Slovenian pediatrician Ernst Moro first reported it, the reflex was named after him. Despite the belief that it is an automatic mechanism, there are reports of specific mind control practices, which mitigate the impact of the startle reflex. Since it may be possible, acquiring the skill can have benefits. Most negative emotions begin with the startle reflex. Rapid dampening of the turmoil, before it escalates, makes it easy for your common sense to regain calm control of your mind after a disturbing event. The startle reflex is present from birth and extends over your lifetime. Science has measured the response, which may begin 20 milliseconds after a stimulus and end after about 500 milliseconds. The reflex causes people to respond in varied interpretations of the fight, fly, or freeze options. In martial arts and police training, combatants are trained to form specific fighting stances, when startled. When startled, the hypothalamus provides a reflexive bodily response, which causes emotional overtones. The amygdala supports the startle response with reflexive responses to the potential for pain. The bodily responses trigger a cascade of emotions. The Buddhists have demonstrated the ability to inhibit the startle response. Paying attention to the related sensations can still many emotional drives. Controlling the startle reflex can make the body respond more calmly to emergencies. A simple method of inhibiting the impact of the startle reflex. The startle reflex is present from birth. When a newborn senses a possibility of falling, or is startled by a loud noise, her back arches, her arms and legs flail out, with bent elbows, knees, and toes. Her thumb and pointer finger curl to grab onto something. Doctors test the reflex to be sure of the health of an infant's nervous system by simulating a sense of falling by allowing its head to drop slightly. The Moro reflex first appears in utero, and fades at 3 to 4 months as the brain matures. The reflex reduces in intensity to permit babies to lose their balance while learning to sit, crawl, and stand. The startle reflex is usually measured by sensors attached to the muscle below the eye that record how hard subjects blink, when they are subjected to sudden bursts of loud white noise. Measuring the electrical conductance of a volunteers' skin, when presented with a sudden threatening image can also measure such sensitivity. The emotions scientist Paul Eckman reported that, in video taped sessions, the startle reflex triggered a cascade of muscle spasms in response to a sudden sound. The test sound used was loud, just below the threshold for human tolerance, like a pistol being fired. Police marksmen, who fired guns routinely were unable to prevent themselves from flinching, when the sound was triggered. The reflex began about 200 milliseconds after the sound was heard. Five facial muscles instantaneously contracted around the eyes. The response ended around 500 milliseconds after the sound. The responses of people to a startling incident vary widely between the fight, fly, or freeze options. When startled, people may wildly flail their arms, or suddenly raise their limbs in protective poses, or duck to avoid an object. The shocked and surprised often back pedal, jump back, or run away from a frontal stimulus. They may clutch a rail, or furniture to prevent from falling. Their knees may buckle, causing them to fall down. They may drop the things they are holding. They may freeze, or instantly follow orders. They may clutch their chests, faint or even suffer a temporary heart attack The aggressive ones may curse or throw things at the object, which startled them, or strike out at them. There are uniquely cultural responses too. 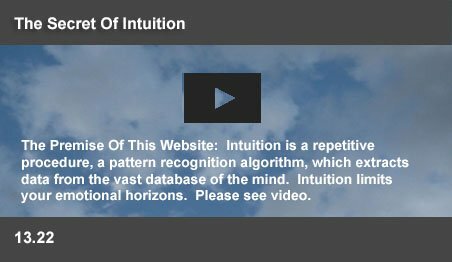 It is evident that subconscious programs within the mind may choose any one of numerous flight, fly or freeze responses. The varied emotional responses of individuals may subsequently cascade upwards from this initial choice. Instantaneous response to a surprise attack is crucial training in the fields of martial arts and police defensive training. There was an earlier theory that on being startled, a combatant's reflexes will snap into a crouched defensive position, which involves blinking of the eyes, head movement forward, change in facial expression, movement of the trunk, contraction of the abdomen, and bending of the knees. But, the mainstream view in the field is that people can be trained to be startled into their favored, trained fighting stances. Judo and karate practitioners are trained to switch quickly into specific fighting stances. Such quick responses are learned through repetitive training. Many law enforcement officers in the United States instantly draw their guns, when startled. Trained basketball players instinctively grab the ball, if it is suddenly thrown at them from the side. But, in martial arts, a programmed response to a crisis may not be ideal. A combatant can be surprised in many different ways during an ambush. So, some trainers suggest that the startle reflex can be inhibited through training. This leaves the combatant to be trained to adopt appropriate responses for each surprise event. Reports in this field indicate that the startle reflex can be inhibited, or manipulated through training routines. The primary startle reflex is the reaction of the body to a strong unexpected stimulus. At this level, there is less evaluation of the stimulus by the system. But, it is not a purely muscular response. Within a few milliseconds, an organ in the limbic system, the hypothalamus, acts reflexively to meet immediate biological needs. Moment to moment, the organ controls the reproductive, vegetative, endocrine, hormonal, visceral and autonomic functions of the body. One region of this organ activates the sympathetic system, which heightens emotional arousal, while another region energizes the parasympathetic system, which dampens down emotional tension. It is an instinctive on/off system. A man, with severe brain damage, which spared the hypothalamus, reacted with howling, growling, and baring of teeth in response to simple sound or touch stimuli, or even if approached. The startle response is a part of the earliest reflexive response of animals to any threatening stimulus. The resulting emotional arousal causes the body to increase adrenaline, produce shallow breathing, reduce blood pressure, increase heartbeat and inject acids into the stomach. Functionally, the organ can set off an unthinking emotional response, before the system has a chance to evaluate the cause of the stimulus. The amygdala is an organ in the limbic system, which learns from experience. When the organ detects signals, which appear to be linked to past pain experiences, it triggers the startle response. Even a whisper can be sensed by the organ even before we become consciously aware of them. Joseph E. LeDoux reports two amygdala pathways in the brain. The sensory pathways to the amygdala follows a direct route, which enables a response in about 20 milliseconds. A second route through the cortex enables a more reasoned response in about 300 milliseconds. Perceptual feedback enables the system to recover, if the startle impulse was a false alarm. The parasympathetic system of the hypothalamus can damp down emotional arousal. Paul Eckman had discovered that the intensity of the startle reflex predicted the magnitude of the negative emotions, such as fear, anger, sadness and disgust, felt by a person. Such emotions developed over millions of years. The earliest animals approach, accept or reject food and escape responding mechanically to primitive stimuli. Later, the amygdala developed in animals, with its ability to recognize the possible recurrence of past painful experiences. Operating through the startle reflex the organ triggers fear and anger. It also responds to sadness, disgust, contempt, embarrassment, guilt, and shame. As such, inhibition of the startle reflex can prevent the system from being surprised into emotional turmoil. Richard Davidson reported that Buddhist Monks don't show the startle response. Paul Eckman tested the startle response of a Tibetan lama. The test sound used was loud, just below the threshold for human tolerance. Police personnel, who fired guns routinely, were unable to prevent themselves from flinching, when the sound was triggered. Yet, when the startle reflex was tested for the facial expressions of the Lama, not a muscle on the man's face had flinched. The Lama had commented later that the explosive sound seemed to him to be neutral “like a bird crossing the sky.” While this may indicate a superlative level of training, it provides evidence that the startle response can be inhibited, even though it is triggered by activity in the brain stem. 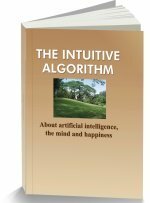 This website suggests that many supposed automatic responses of the nervous system can be controlled through self awareness - the process of paying attention to your internal sensations and emotions. Unpleasant emotions set off drives within you to strike out, or to run away. If the drive can be stilled, the troubling event becomes a mere sensation, like “a bird in the sky.” With attention, neural activities, which trigger sensations are delinked from the linked emotional drives. By recognizing pain as a sensation, it becomes possible to still the unpleasant emotional “hurt” drive, which makes you want to run away from the pain. “The pain is there, but it doesn't hurt.” The “hurting” emotion of jealousy and envy is linked to the pain sensation of one's own failures. An awareness of such pain stills the unpleasant drives of jealousy, or envy. So also, the startle response sets off a series of emotional drives within the body. By recognizing the response at its origin can still the following emotional upsurge. The cascading effect of the startle response can be minimized by becoming aware of the sensation itself. The reflex may have different effects on different people. It may be a jolt in the stomach, a sensation of falling, of feeling faint, or a heaviness in the chest. Recognizing this response early and relaxing your body consciously can inhibit the response and speed up your return to the normal state. Since normal preoccupations prevent a person from noticing the impact of the response, emotions take hold and can even spiral out of control. A high level of sympathetic nervous system arousal can take a long time to decrease, requiring you to relax for half an hour or more to get back into a calm state of parasympathetic responses. When your body is trained to relax immediately after a startle response, you will not need to be constantly on the alert for the initial surge of adrenaline. Your body will have become conditioned to switch to relaxation after a startle response. Begin the process by developing the ability to relax at will. Then get someone to surprise you with a loud noise within 10/20 seconds after you are ready. You will be in a relaxed state, knowing that the sudden sound is coming. The noise level should be reasonable. The person, who is helping you can note the level of your startle response. Your relaxed expectation will still the surge of adrenaline triggered by the sympathetic system at the initial stage. While your startle response will be noticeable at the beginning, practice will reduce it. You will reach a stage, where the loud sound is more like “a bird in the sky” - a trivial event. Over a few weeks of practice once or twice a day, your body will learn to use the startle response as a signal for relaxation. This page was last updated on 04-Sep-2014.